It seems it is time now to write down some things about me in English, so that others will be able to read it. 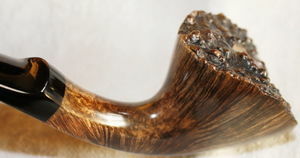 I have started the reconstruction of my website http://www.gbpipes.com, hopefully it will be totally refurbished and available in English soon. 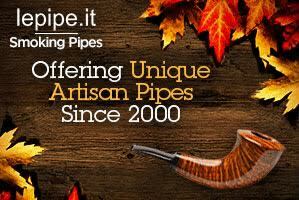 I’ve been a pipe smoker and pipe enthusiast from the moment I started smoking at the age of about 16. Some five or six years ago I realized that there are many sources on the Internet for discussions, pipe purchase, etc. and pipemaking sparked my interest, so I purchased my first pre-bored pipemaking kit from Mark Tinsky (American Smoking Pipe Co.) and started to dig and chip it day after day. 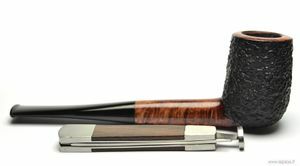 Two – three weeks later with all my fingers still available, after I had changed the original stem with one from my old pipe’s stem, I’d created my first straight ‘billiard’, with tapered stem, having cracked a bowl, but smokable. This was the start of my passion for briar and the pipemaking craft. I purchased another pre-bored block, and another, and books and tools from many internet sources and started to make my own tools. The great source which helps me to start was pipemakersforum.com. All this crafting was and is my relaxing and concentration time, also, my way for art expression. The second stage of my pipemaking efforts was organizing my workshop and determining my method of working. I can hardly say that my method is to shape before drilling. How I have reached this? Well, I have read many articles about the differences, the positive aspects and about the negatives but my decision was founded on the simple fact that at this time there was not a lathe big enough for the job. Therefore, I have started from the other end – shaping first. Now, it seems, this is my method. The workshop organization was harder than expected and the process continues. However, now I have small workshop, many handmade tools and devices, small lathe, sanders, buffer, collecting materials (I have waited for my first real big briar supply for one year). This page was last edited on 21 November 2016, at 15:07.